iPhone is a widely used mobile phone and the best product ever released by Apple. iPhone are famous because of their quality and features which are not available in other devices. iPhone have their own operating system known as IOS. iPhone has many features including light sensor, motion sensor, Accelerator sensor, Attractive animation, background program processing, video calling, high quality camera, multitasking etc. Recently we published iPhone secret codes which help to get deep access to useful device information. So due these kind of facilities iPhone is one of the best smartphone to used. iPhone compete with Android devices in every field including hardware, software but expect battery. Even many android device are not providing good battery backup for android user they can try these best tips to increase android battery life. iPhone are available with small size batteries typically from 1500 to 1900 mAH. But due to its features like background processing and motion or many programs or Apps we run on our device, our device battery get discharge soon. Battery backup has also become a problem with the multitasking. There are several reasons for discharging our battery soon including hardware sensors, overcharging, background running Apps etc. If your are also suffer from this problem then we are going to explain some best tips to increase iPhone battery life. How To Increase iPhone Battery Life. 1. Avoid Background App Refreshing. 2. 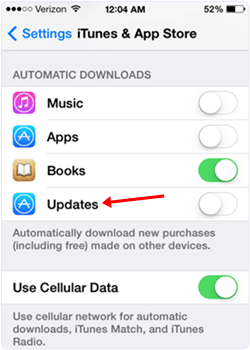 Avoid Automatic Updates Of Apps. 3. Turn On Auto Brightness. 4. Avoid Motion and Animation. 6. Find Battery Killer Apps. 7. 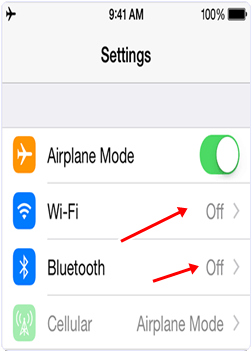 Turn Off Bluetooth And WiFi After usage. 8. 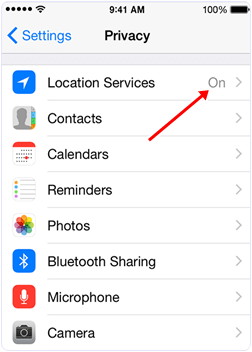 Turn Off Location Service. 9. Avoid Overcharging Of Battery. 10. Turn Off Hotspot After Usage. 11 Turn Off Vibrations On Different Tasks. 1. Open the settings in your iPhone. 2. click on iTunes and App Store. 3. In automatic downloads looks for Updates. 4. Then turn it off. One of the important features of IOS is Light sensor. 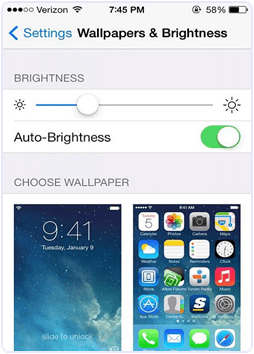 Light sensor control the brightness of display and save your battery life. It will control the brightness of display depending upon the intensity of light falling on the sensor. It provide you more brightness in dark area and control brightness in light. To Turn On This Feature follow this steps. 3. Move the slider to turn ON this feature. IOS also provide motion sensor to provide background motion. Background motion make your phone display more attractive. In this effect when you move your phone, your phone icon moves slightly independent of each other. 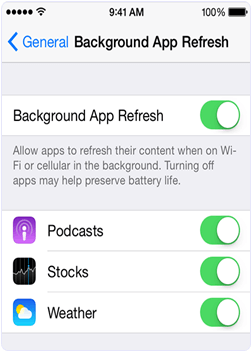 But aside it will also consume your phone battery, so to improve iPhone battery life you have to disable this feature. To disable it follow these steps. 1. In the settings Tab click on General. 2. Then click on Accessibility. 3. Look for Reduce Motion. 4. Move the slider to green color. In our iPhone we run multiple Apps at same time. If we are running more Apps it will consume more amount of CPU, battery and get it down. Because processor have to process more apps simultaneously it will increase its burden. So close the Apps which are not used by you currently. It will increase iPhone battery life performance. In IOS there are rather many apps installed by users. Some Apps consume more battery power than others. 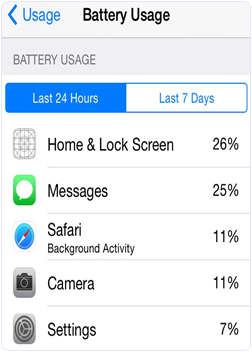 IOS system Provide feature called battery usage to take care off which Apps consume what amount of power. This feature collect information about Apps which App sucking the power in previous 24 hours and between previous week. So we can remove that App or using it less. We can Access this function by taking following steps. 4. Click on Battery usage. In our IOS device we use Bluetooth and WiFi for data sharing and internet access. When we turn on Bluetooth or WiFi radio wave generator start generating waves and consume our battery. So we have to turn off Bluetooth and WiFi after usage this will increase iPhone battery life. One of the most important feature of iPhone is Built in GPS. The GPS service rather allows to know your location where you are and send this information to Apps which help you to find various locations in our city like cinemas, restaurants etc. But on the other hand this service also consume our battery because this is satellite based service and share information through satellite network. So we have to turn off this service when we do not need it. We can turn of it by doing following steps. 3. Look for location service. 4. Move slider to turn it off. When we plug our phone for charging then we have to take care of how much time the phone take to fully charged. After full charging we have to remove our charger because overcharging will damage our battery and also heat our phone components. So we have to take care of battery charging time. IOS another important feature is hotspot. With the help of hotspot we can share our phone cellular data connection with laptop and with another phones. When we turn on hotspot feature then our phone data connection travel on radio waves which is captured by another device. Hotspot feature also discharges our battery soon so we have to turn off this feature after use to increase iPhone battery life. 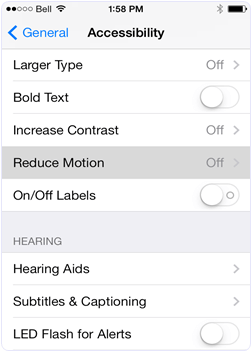 IOS also provides vibration accelerator to produce vibrations when we play games or during silent mode for alerting. Sometime vibration is on for touch like every phone will vibration when you one any file or folder. Vibrations are only necessary in silent mode so we have to turn off vibrations. Vibrations increase our battery consumption so we have to turn it off to increase iPhone battery life. In conclusion, these are few best tips to increase iphone battery life. If you find this topic helpful, Don’t forget to share it with others.